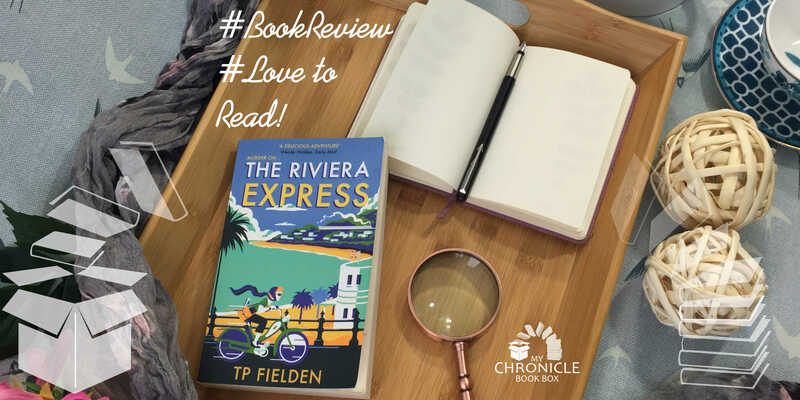 A My Chronicle Book Box review of The Riviera Express by TP Fielden. The debut novel of writer and broadcaster TP Fielden is a cosy crime set on the Devonshire coast in the late 1950’s. Miss Dimont is a key reporter at The Riviera Express and first on the scene of a suspicious death. Film star Gerald Hennesey has not survived the train journey from London to the idyllic Temple Regis on the Devon coast. See our special offers, and receive this book now for free! This is the first novel by TP Fielden and we are introduced to the delightful Miss Judy Dimont in 1959. Described as a lady of a certain age, Miss Dimont is the ace reporter at The Riviera Express newspaper and combines charm with competence to present a formidable investigator. Miss Dimont is at the train station with photographer, Terry intending to snag an interview with film star Gerald Hennesey as he arrives in Temple Regis on the train 4:30 from Paddington. The interview is not possible however, as Gerald has not survived the journey and Judy and Terry are first on the scene after the train guard. No sooner has this body been discovered when Judy is pulled away from the story by the discovery of another body at the bottom of a cliff. An apparent suicide according to the police. Both deaths are written off as natural causes or accidental by the police but Miss Dimont does not believe it is so clear cut and is determined to delve deeper. As Miss Dimont carries on with the daily tasks associated with the production of a local weekly paper she subtly (and not so subtly at times!) and steadily uncovers the truth behind the deaths. I love that this feels that Miss Dimont is on an adventure with her trusty moped, affectionately named Herbert, rather than merely investigating or writing a story for the newspaper. Temple Regis is full of interesting characters that TP Fielden brings to life through Miss Dimonts observations and the town is also a character in its own right. To me, the writing is subtle yet somehow powerful. This was a wonderful read and a great start to a series that I hope continues for a long time!